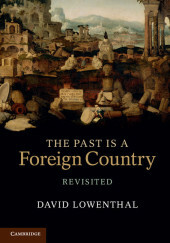 A completely updated new edition of David Lowenthal's classic account of how we reshape the past to serve present needs. Introduction; Part I. Wanting the Past: 1. Nostalgia: dreams and nightmares; 2. Time travelling; 3. Benefits and burdens of the past; Part II. Disputing the Past: 4. Ancients vs moderns: tradition and innovation; 5. The look of age: aversion; 6. The look of age: affection; Part III. Knowing the Past: 7. Memory; 8. History; 9. Relics; Part IV. Remaking the Past: 10. Saving the past: preservation and replication; 11. Replacing the past: restoration and re-enactment; 12. Improving the past; Epilogue: the past in the present.